This is an app that J has been waiting for. Every time he wants to play a game on my phone I hear, “Daddy!!! I want to play LEGO Marvel on your phone!” I have had to tell him that the app didn’t exist, until today!! This app has a $4.99 price point and has 3 in app purchases available. If you love the LEGO Marvel Superheroes game on the consoles, you will probably love the iOS version. This app (along with some great comics) are a must have for those long family summer vacation drives. DC has always made some pretty amazing animated features, and Son of Batman is no exception. A tight story and epic fight scenes make this an animated feature that should not be missed. 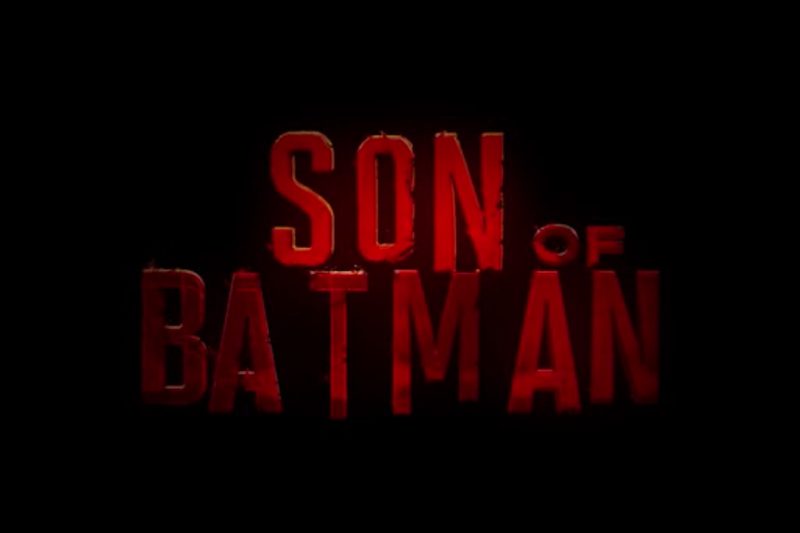 Son of Batman is an adaptation of the 2006 Batman and Son story arc. The plot is different from the graphic novel, so if you were planning on skipping this film because you read the book, don’t. You will do yourself a disservice by missing out on this animated feature. There is quite a bit of blood in this film, especially in the first 10 minutes. We waited until J was sleeping before my wife and I watched it. If you love Batman, go to the store right now and buy it!!!! If you don’t want to buy it, rent it from iTunes or Amazon Instant Video. Whatever you do, make sure you see this movie!! I give this film…5 BATARANGS!!! I am sure that a lot of you have seen this video popping up in your social media feeds all day. The simplicity of this video is what makes it amazing. I will admit it, I cried like a teething child the 1st and 30th time I saw this video. While watching the video, memories of all the times that J has called for me came rushing into my mind. Every ouchie, every monster, every sad and happy moment and I just lost it. This video reminded me of how lucky I am. I am so lucky to have an amazing wife who makes enough money for me to be able to care for our child and also allows me to run my own business from my home. So thank you Dove, thank you for making this amazing video and flipping the script on how the media usually portrays dad. 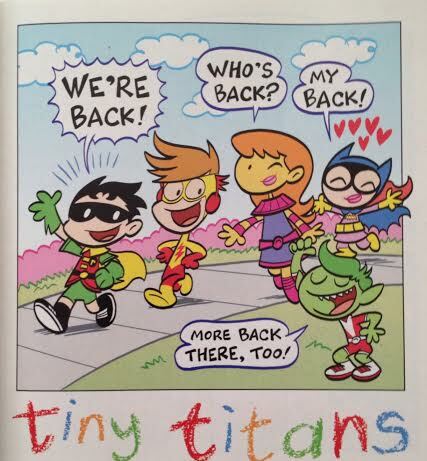 The Tiny Titans Are Back!!! The Tiny Titans are back in Return to the Treehouse. 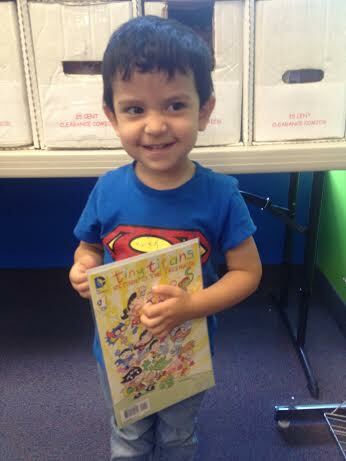 J loves Tiny Titans comics, and this one is no different. We have read our copy about 5 times already and we’ve only had it for a couple hours. The Tiny Titans return with the a great story and awesome artwork that all ages can enjoy. The story will have you laughing and will leave you wanting more. I promise you will enjoy this fun series. This is the first of six issues, a great start to your child’s first comic book collection. I recommend that every child and parent have this series in their comic collection. I finally went to see the new X-Men film yesterday. 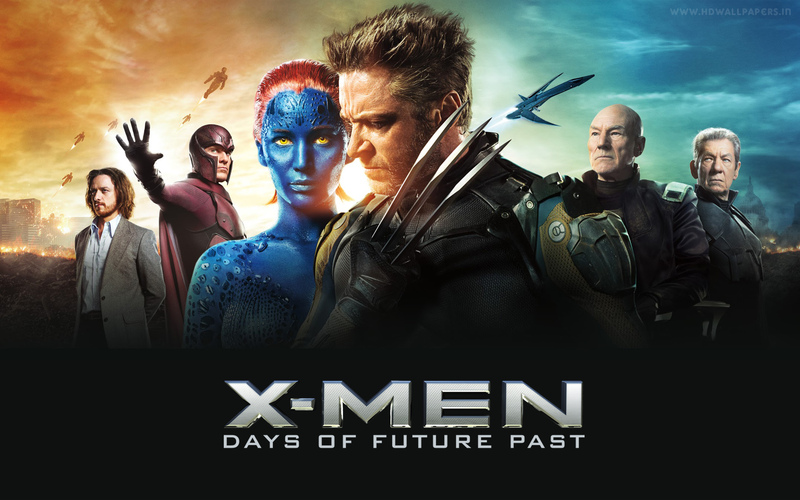 Days of Future Past is the best X-Men film to date. The things I didn’t like about the movie were definitely outweighed by the things I liked. The actions sequences were epic, the casting was yet again amazing, the mutants brought into this installment were legendary. The story was… ok, my main issues were that the adding of a power to a certain mutant just to have her in the film, when they could have just added Forge to the movie. Also I didn’t like the Sentinels of the future. To me the idea of the Sentinels was not that the mutants couldn’t take them out, but that they just outnumbered the mutants. The film does a fantastic job describing the Sentinel take over and why the world is the way it is. But to be honest I have always judged X-Men movies by the comics and the 90s cartoons and never wanted to separated them, but (thanks to The Walking Dead TV show and comics) I now see this First Class series in a new light. I am glad that the “villain” was the same as the Days of Future Past cartoon episodes although I would have liked to have seen more similarities, i.e Bishop being the time traveler and most of all Gambit being in the movie, but I understand why they went the way they did. The film left me excited for the next installment, but I would give X-Men Days of Future Past 4/5 stars. But really what does my opinion matter. If you’re a fan of all things X-Men then you should be seeing this movie anyway, so stop reading and go see it. If you’ve already why not tell me what you liked and didn’t like. PS: Stay until the end of the entire credits…you won’t be sorry.